QUESTION: Hi Marty, I have been following your blog for several years and attended your “Cycles of War” presentation in Philadelphia. It has been rewarding and very educational. My question, is there any one investment that is a safe haven in the chaos that approaches? I recently sold my company and placed the proceeds into “Certificates of Deposits” at several large FDIC banks laddering over several years. Are these safe or will it all be for naught? Meanwhile, I look forward to utilizing Socrates “traders” software when it comes available. ANSWER: Certificates of deposits are ok for now. Keep in mind this will change probably in 2017, but by 2018 for sure. The risk is government paper where they can by decree convert short-term to long-term. The USA is probably less likely to do that compared to Europe. But with people like Larry Summers shooting off his mouth, all bets on that are a 50/50 game. There is no investment that survives. If you look at the Great Depression, absolutely EVERY asset class was hit. Nothing survived intact. This means we will have to stay on top of this more closely than ever before because liquidity is also declining and that means volatility will increase, which is often what hurts people. The vast majority assume whatever trend in motion will stay in motion. They are incapable of seeing the turns. We still show that equities will probably be the safest place moving forward insofar as they are recognizable and liquid. Cash is still king, but the war on cash itself is disturbing. 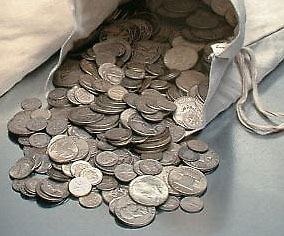 Silver coins will be useful, perhaps even more so than gold, since they are tracking gold but not old, common date, silver coins. This may replace cash, which they are desperately trying to destroy. We are getting closer to releasing the Trader Version. We are still working out the final bugs, but there are a lot less bugs right now than there was even three months ago. It is a huge project to port all this code and retest everything to ensure the translation made it between platforms correctly.